In our previous Weekly note, we had mentioned about the possibilities of the Markets consolidating and at the same time showing resilience as compared to its global peers. 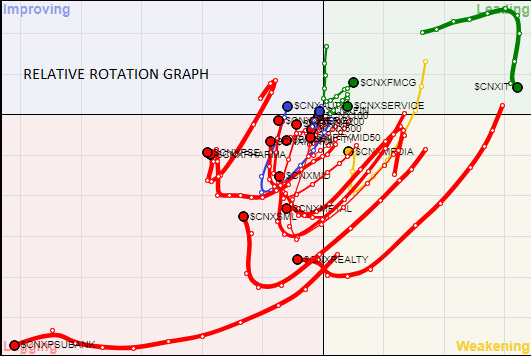 While trading on expected lines, what the Markets put on display all through the previous week was classic consolidation. The Markets remained volatile, but remained within a capped range and kept recovering from the lows while showing resilience which demonstrated continuing buoyant undercurrent. NIFTY ended this week with net weekly gains of 83.45 points or 0.80%. As we approach trade in the coming week which will also see expiry of the current derivative series, we see this consolidation spilling into the coming Week as well. With Markets still resisting at a pattern resistance area on the Daily Charts, it remains overstretched a bit and it would be no surprise if we see some corrective bouts from higher levels in coming days. Markets are still not completely done with its consolidation and some minor corrective moves should not come as a surprise to anyone. Coming week will see the levels of 10610 and 10690 acting as resistance area. Supports are expected to come in at 10580 and 10375 zones. The Relative Strength Index – RSI on the Weekly Chart is 57.1979. It continues to remain neutral showing no divergence against the price. Weekly MACD is bearish and it trades below its signal line. No significant formations were seen on Candles. Pattern analysis reveals that as of now we continue to remain comfortably in the 27-month long upward rising channel. Despite a minor downward breach couple of weeks back, NIFTY has managed to crawl back once again into the upward rising channel. Overall, next week will once again see attempts by the Markets to move out of the consolidation and inch higher. However, higher levels may not come easily and we might see some good amount of volatility creeping into the Markets once again. NIFTY PCR (Put to Call Ratio) once again remains at slightly uncomfortable levels. With consolidation imminent, we reiterate and advise to vigilantly protect profits at higher levels. Though select purchases may be made, profits should be religiously protected with each up move that the Markets may offer in coming days. A study of Relative Rotation Graphs – shows in line with what was mentioned in our previous sectoral view, IT arrested its loss of momentum and relatively outperformed the general Markets. 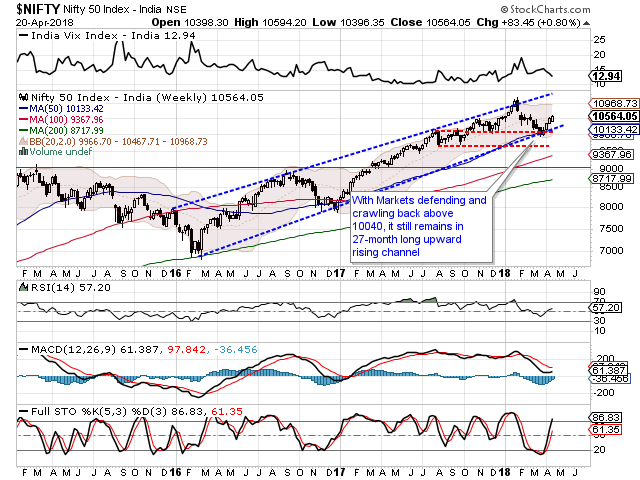 The broader indices like CNX100, 200, NIFTY Next 50, and NIFTY MID50 continued to show improvement in the relative momentum against the general markets and this is likely to be seen in coming week as well. Apart from this, we will see stocks from AUTO, FMCG, ENERGY and FINANCIAL SERVICES continuing to improve its relative performance. Select stocks from METAL and REALTY will see selective outperformance. Apart from this, BANKNIFTY, PSUBANKS, CNXPSE, and PHARMA are not expected to put up and major out-performance.